They've made six X-Men films and four spinoffs, and yet so little of what makes X-Men the best comics franchise of all time has ever made it to the big screen. 1. The most iconic core group of X-Men from the late '70s into the mid '80s have never been a team on screen, and as a result key relationships have never been written into a film. This would be Cyclops, Storm, Wolverine, Nightcrawler, and Colossus, but could also include Jean Grey or Kitty Pryde. You know, the goddamn X-Men! 2. You never get to see Wolverine and Nightcrawler be best friends. 3. You never see a "fastball special," i.e., Colossus throwing Wolverine at a bad guy. Edit: Apparently a version of this happens in The Last Stand, but this is a technicality. The important thing is context – this is part of Logan and Piotr's close relationship, and a lot of what makes it exciting is this being part of their teamwork. Colossus and Wolverine barely know each other in the films. Colossus is barely a character at all until Deadpool. 4. You never see the tortured romance of Colossus and Kitty Pryde. Ah, the wonderful metaphor of the man who can cover himself in armor and the girl who can become a ghost. 5. You also never meet the teleporting mutant sorceress Illyana Rasputin, who is the younger sister of Colossus. Illyana is also the best friend of Kitty Pryde, and someone who has been to hell and back – quite literally. 6. You never see Kitty Pryde's pet dragon Lockheed. Just want to put it out there that Kitty Pryde had a pet dragon long before Daenerys Targaryen was a thing. 7. You never see anything resembling the '90s lineup either, which everyone knows from the classic animated series and the Jim Lee era of comics. Not everyone is in this picture, but that would include Charles Xavier, Cyclops, Wolverine, Storm, Jean Grey, Beast, Rogue, Gambit, Colossus, Archangel, Psylocke, Iceman, Bishop, and Jubilee. 8. You never see the tortured romance of Rogue and Gambit. The skeevy bad boy falls for the woman who cannot be touched! 9. You never see the tortured romance of Archangel and Psylocke. Though, in fairness, they have set up the possibility for this in X-Men: Apocalypse. 10. You also never see Rogue's tortured romance with Magneto. Uhhhhhh, just try not to think about the age difference there. 11. The X-Men never go to space, and never encounter the Shi'Ar Empire. 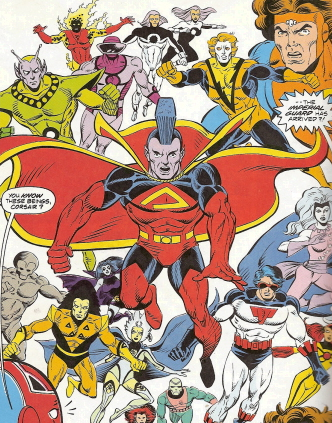 The Shi'Ar are a crucial element of X-Men mythology, and are featured in several classic stories including The Dark Phoenix Saga. 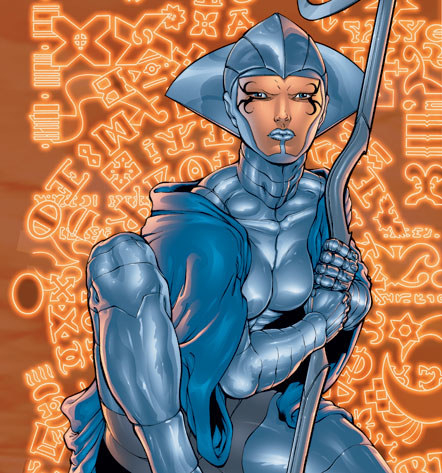 Majestrix Lilandra is also Charles Xavier's primary love interest. 12. They also never encounter the creepy, bodysnatching alien race known as the Brood. 13. You never see the Morlocks, the society of mutant outcasts who live in the sewers below Manhattan rather than in a mansion like the X-Men. An important contrast with the relative privilege the X-Men enjoy, as well as a rejection of Charles Xavier's belief that mutants should assimilate into human society. 14. 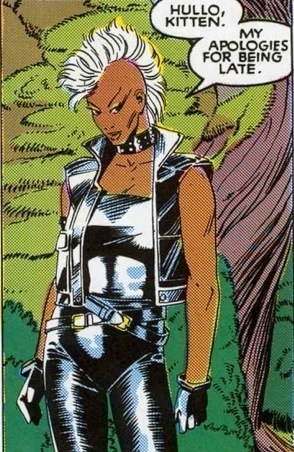 And you never see Storm become leader of the Morlocks after defeating Callisto in hand-to-hand combat. The rivalry of Callisto and Storm in the '80s goes beyond a simple "hero vs. villain" dynamic, and pushes Storm to learn lessons from Callisto that help her become a better and more proactive leader for mutants. 15. You never see Storm's infatuation with the Japanese thief Yukio, or how that inspires her to ditch the goddess look in favor of a street punk aesthetic. 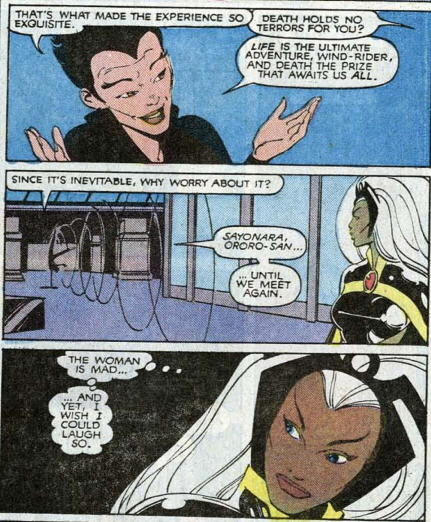 Storm appears in five X-Men movies and you never get even a hint of her fluid sexuality. 16. You never see Storm lose her powers, or her tortured romance with Forge, the man who created the machine that robbed her of her connection to the elements. Forge, the man who can invent anything he imagines, but has very little imagination. What a perfect metaphor for the type of boyfriend who has all the potential in the world, but no initiative to realize any of it. 17. You never see Mystique's not-so-tortured romance with Destiny. Mystique and Destiny were portrayed as a long-term lesbian couple through most of the '80s, even if writer Chris Claremont wasn't allowed to explicitly state that on page at the time. Of course, this relationship ends in tragedy, and Mystique never fully recovers from the loss. 18. You never see Genosha, the island nation whose economy thrives as a result of the government brainwashing and enslaving mutants. The X-Men liberate Genosha, which is an important step in the group's evolution away from supporting the status quo and towards becoming true revolutionaries. 19. You never see the rivalry of Bishop and Gambit. 20. You never see Jason "Mastermind" Wyngarde, the creepy illusion-casting mutant who torments Jean Grey. Hint: That's not his real face. 21. You never see Mister Sinister, the Machiavellian and ultra-glam geneticist obsessed with Cyclops and Jean Grey's genes. Oh, and he's also a Victorian dandy! 22. You never see Cassandra Nova, Charles Xavier's genocidal non-corporeal twin sister. She is pure evil and utterly terrifying. 23. You never see the malicious telepath Amahl Farouk, a.k.a. the Shadow King. Magneto may be Xavier's greatest rival, but Farouk is his ultimate nemesis. 24. You never see the tortured romance of Cyclops and Emma Frost after Jean Grey dies. Scott and Emma's relationship is arguably the most complex of all X-romances, and pushes Emma further into the role of being hero after years of serving as the White Queen of the Hellfire Club while complicating Scott's morality and nudging him towards becoming a political radical. 25. You never see the X-Men play baseball. This is not a joke; the X-Men play baseball all the time. 26. You never see Iceman come out as gay. Granted, this is a more recent development. 27. You never see Wolverine as Kitty Pryde's mentor. 28. Or as Jubilee's mentor. 29. Or as Armor's mentor. Wolverine just loves to mentor teen girls, OK? It's not weird.